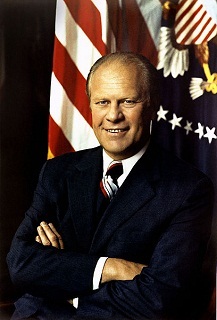 Gerald Ford (1913-2006) was the 38th President of the United States, serving from 1974 to 1977. 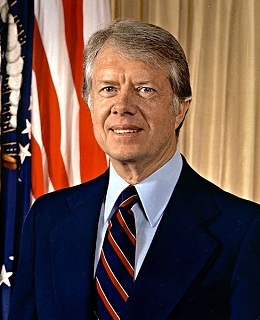 He had been Vice-President under Richard Nixon and became President when Nixon resigned. Ford was a Republican. Like Nixon, he tried to improve relations with other countries but economic problems contributed to him failing to be re-elected for a second term.